SOME of us fear growing old. 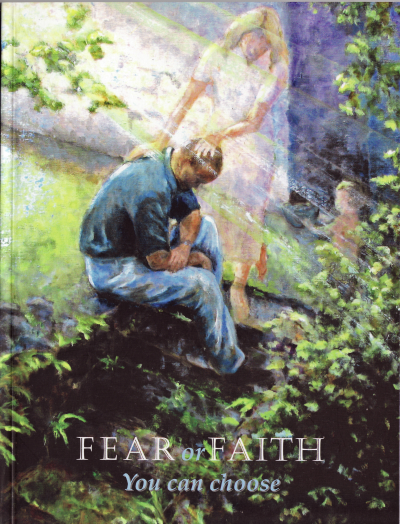 Some fear dying – fear the unknown, separation from those we love. Here are stories, actual experiences, and poems from people who have overcome those fears, for whom death is a part of life – the next step, a completion. It is natural to experience fear, but someone once said: “You can always choose between fear and faith, and the two cannot live together in the same heart”. It all began with a sharp pain in my stomach. My doctor diagnosed a twisted bowel and sent me to the local hospital. I remember a needle being stuck into my arm, committing myself and my family rather nervously to the Almighty, and no more. I woke in intensive care a month later, trapped in a spaghetti junction of tubes, paralysed, unable to speak – and breathing through a hole in my neck. My doctors say they can’t count how often they had hauled me back from ‘halfway through the pearly gates’.